Assumes responsibility for providing pickup and delivery service of mail to and from the post office for the VanHoose Education Center; acts as courier for the VanHoose Education Center; makes daily bank deposits and picks up tax checks as necessary. Under the direction of the supervising teacher or Principal, the instructional assistant participates as an integral member of the instructional program, including tutoring students, assisting in documentation of pupil progress, preparation and organization of materials and equipment, and/or instructing. Also, assists bus driver in supervising, loading and unloading students. Provides technical assistance to district and school staff in the areas of assignment and development, monitoring and implementation of assigned program or activity; provides in-service as assigned; surveys system-wide needs in area of assignment and determines effectiveness of assigned program or activity; supervises and directs the work of committees and other groups as assigned. Assumes responsibility for collaborating with parents, teachers, and Coordinators of Family Resource Centers to ensure preschool students are meeting and maintaining the health requirements for the program and providing social services to those families when necessary. Under the direction of the supervising teacher or Principal, the instructional assistant participates as an integral member of the instructional program including tutoring students, assisting in documentation of pupil progress, preparation and organization of materials and equipment, and/or instructing. Also, assists bus driver in supervising, loading, and unloading students. Provides support, assistance and advice to district school staffs in the area of Early Childhood. Implements an educational program for preprimary students by providing comprehensive assessments, evaluations, and instruction to meet the needs of parents and children. Assumes responsibility for planning, developing and administering all components assigned, in accordance with State and Federal Early Childhood guidelines. Responsible for working with other areas to ensure maximum integration of the components and collaborates with other programs in the district to provide maximum services to children and their families. 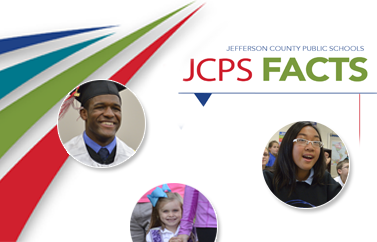 Serves as liaison between Early Childhood department and other JCPS departments and schools to ensure that facilities are in compliance with applicable state and federal early childhood requirements. Provides leadership to the coordination of professional learning communities in early childhood programs. Provides technical assistance to district and school staff in the area of early childhood education and development, monitoring and implementation of early childhood programs or activities; surveys system wide needs in area of early childhood and determines effectiveness of assigned program or activity; supervises and directs the work of committees and other groups as assigned. Provides technical assistance to district and school staff in the areas of assignment and development, monitoring and implementation of assigned program activity; provides in-service as assigned; surveys system-wide needs in area of assignment and determines effectiveness of assigned program or activity; supervises and directs the work of committees and other groups as assigned. Provides services to pre-school aged children according to state and federal guidelines. This includes The implementation of developmentally appropriate curriculum, administering and scoring of student assessments, visiting homes, and facilitating a variety of health-related screenings. Assists in coordinating all aspects of early childhood student transportation. Requirements include all District programs which qualify early childhood students for transportation. The Behavior Education Support Team (BEST) provides short-term crisis intervention for students with disabilities. The BEST team review students' Individual Education Programs (IEP) and progress data; conduct student observations; and model appropriate behavioral strategies. This position is a highly trained position to support the needs of students with behavioral needs district-wide. Provides technical and direct assistance to school center staff to ensure consistency in the selection and use of adaptive/technological equipment in the implementation of ECE students' IEP's, including assessment of student need, evaluation and selection of appropriate equipment, and training of students and staff on proper use of equipment. Reviews manuscripts to ensure absence of all errors including errors in standard American English grammar/usage, spelling, and diction, as well as errors in dates, type size and font, and content. Serves as a reader of mechanics to improve format, design, and readability for the purpose of high quality, finished products, and an efficient workflow. Assists in the installation of computers in the schools. Coordinates the activities of implementing computers in the educational process. These activities include coordinating local school committees, assisting in hardware and software acquisitions and training of instructional staff. Interprets and/or transliterates English and signed concepts to any necessary specialized vocabulary used by a student, staff or visitors in educational settings. Necessary specialized vocabularies may include but are not limited to American Sign Language, English-based sign language, cued speech, and/or oral transliterating. As a member of the educational team, works closely with teachers responsible for the student’s educational program. Interprets and/or transliterates English and signed concepts to any necessary specialized vocabulary used by a student, staff or visitors in educational settings. Necessary specialized vocabularies may include, ut are not limited to American Sign Language, English-based sign language, cued speech, and/or oral transliterating. As a member of the educational team, works closely with teachers responsible for the student’s educational program.